Newer: » Editorial – Up in smoke: fireworks or potholes? Sagebrush teamed up with Believer's World Outreach (BWO) for the second consecutive year to provide their community outreach, "Celebration Week". The week long event took place from Saturday, December 28th to Wednesday January 2nd and provided free wholesome, Christ-filled fun for the various families that attended.Over 39 volunteers travelled from the United States to team up with Sagebrush Community Church to serve the community. 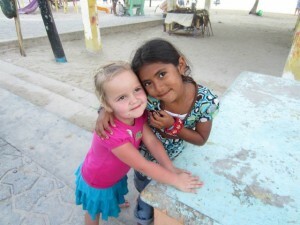 The outreach consisted of a morning and afternoon ministry. Morning ministries included a Hip Hop Camp at Lions Den, Sports Camp at Boca Del Rio Park, Arts & Crafts at Boca Del Rio Park, Cosmetology at the Paradise Theater and a work project renovating apartments for a local family. 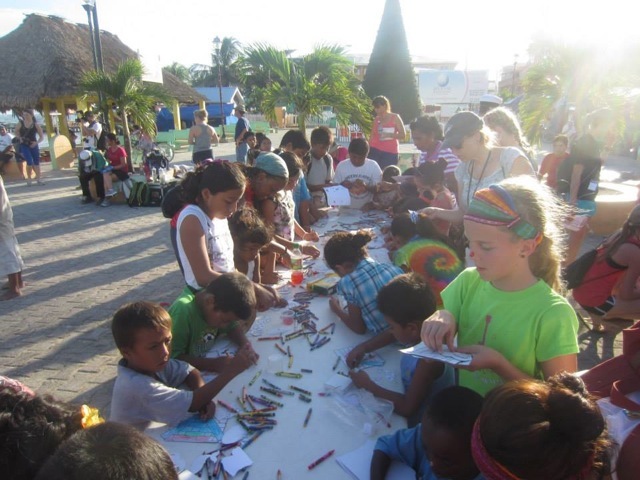 In the afternoon, over 50 volunteers took over Central Park performing a Bible story, also providing a craft projectsthat went along with the story. On Sunday evening the group held a "Movie in Central Park",projecting the movie Home Run (a Christian movie about overcoming alcohol addiction through a relationship with Christ), free for all to gather together and watch. 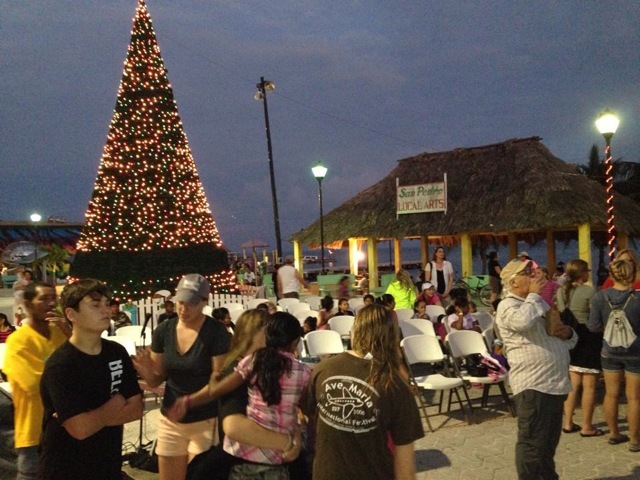 Believer's World Outreach is led by Debbie Tietsort, and this is the fourth year this US based organization has touched the lives of the people on Ambergris Caye. 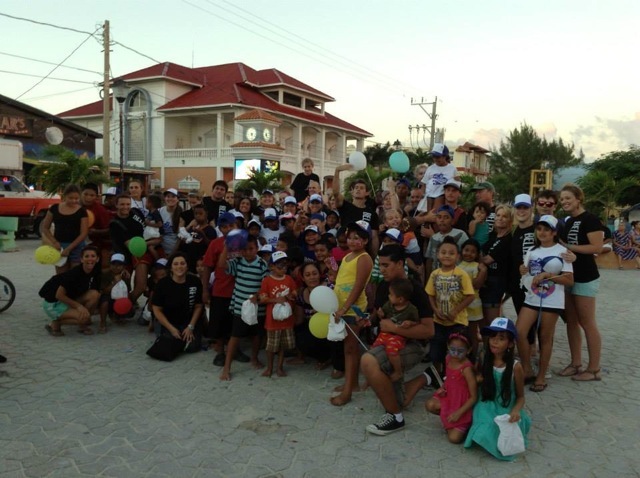 By teaming up with Sagebrush Community Church Belize, the relationships and life change inspired through the love and service of each of the BWO team members is given longevity throughout the year. This continuity is key on an island where so much is transient. Debbie tells every one of her four years of serving the island with this ministry that, as much as they reach the hearts of those that live here, the team is always blessed by the overflowing love, hospitality, and friendship shown to them by the locals each year. "At Sagebrush, our vision is to "Know Christ and Make Him Known. We get to "Know Christ" a little more each Sunday at 10:30 (in the Paradise Theater) through biblically based, down to earth sermons that are relatable to everyday life and infused with just a touch of humor. We strive to "Make Him Known" through our interactions with each and every person we come into contact with, showing the love, grace, and mercy Christ set the example of, free of condemnation or judgment. "